WAP Push messaging is a bulk sms type that permits users to send text message with a link to a website, giving the receiver the option to connect to the URL. The link opens on the web browser of the phone. WAP push messages are one of the most effective ways to drive traffic on a website. Once the reader click on any part of a wap push message, he is directed to the web link which the sender intends to promote. Bulk sms marketing still remain one of the best methods to reach targetted customers or communicate with existing client, WAP Push messages constitute one of the several bulk sms types which can be used to make mobile campaigns very successful. Unlike traditional sms WAP push sms are displayed as a ''pop up'' alert on the mobile phone. This increases possible clicks to the website link and high traffic compared to a link included in a traditional SMS. This is a smart way to convert your mobile campaign to a web campaign. Wap push messages are sent from a computer that connected to an internet through a suitable SMS gateway. However, some bulk platforms like RANSBIZ SMS, supports mobile phone users to send sms from their phone, thanks to responsive web designs and mobile applications (mobile app ) technology. It is an innovation of new generation mobile phones which permits the user to make calls, text and use the internet. Wap push messages are displayed as an alert on your screen. You can send wap push messages to those using smart phones and other supported mobile devices. A typical Wap push sms consist of four main identifiers. i. A Unique Sender Name E.G MTN ,Samsung,Vodafone,HotJem etc. iv. Action parameter ( e.g buy now, sign up today, Download here etc. Wap push messages are different from push notifications on android and apple Os devices. This is because push messages are shown if the device user had downloaded an app which triggers a push notification. Wap push messages are sent intentionally by someone who has your mobile phone number. Wap push messages display a sender name while push notification messages are displayed a pop ups on the screen. Wap push sms require the sender to have a bulk sms account. There are two types of WAP push messages; Service Indication (SI) and Service Load (SL) Messages). SI Messages are wap push messages which contain a link, which the reader is directed to upon clicking on the text or link in the content. On the other hand SL wap push messages are messages from providers or device manufactures that that automatically trigger a download or software updates. Mobile phone manufacturers equally use this to push new ring tones on to the device. Most mobile phones that support wap push messages are set to receive WAP push by default. The user cannot set up or personalised wap push settings. Some phones like Samsung mobile phones permits you to set up wap push messages on the Messaging app setting Menu. -Enable service loading or disable it. Thus you can enable or disable wap push messages on your android device. You can equally read previous wap push messages from the messaging app. To do this open the messaging App, click on the Menu ( the three dots at the bottom right) and click on ''wappush messages''. Examples of Wap Push Messages. Now that you know more about wap push messaging, how can you draft the perfect wap push message? Hi user, the latest version of our app or software is available for download on our website. We are happy to inform you about new product arrivals in our shop. 50 % off for all purchases from the 16th January- 30th of February. Subscribe on our plat from to stay updated with the latest fashion trends. Have you heard of '' RANSBIZ SMS''. It is an SMS plat form that permits you to send bulk sms to mobile phone users in more than 54 countries. 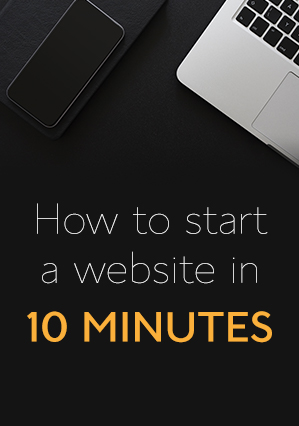 Dear subscriber, our post of today is on '' How to make money Online''. Make sure you comment and ask questions. Got a better Wap push Sample? To know more about wap push, email: ransbiz@live.com or leave a comment. 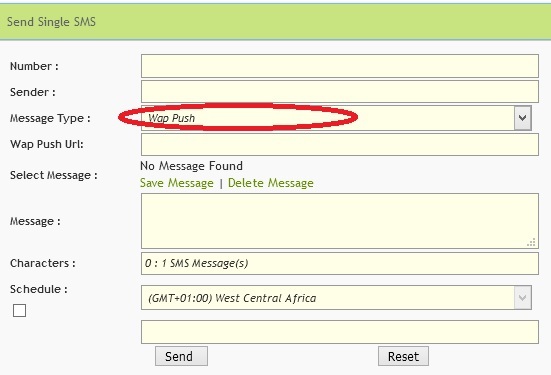 ALSO READ: How to send WAP Push messages with RANSBIZ SMS plat form. mobile marketing is the part of marketing strategy so you can use Bulk SMS Service Provider in India to send sms and promote your business. Thats is very right Pure. Using multiple marketing startegies will definitely boost sales for any company. sms is the way of marketing of any product, presently its promotional tool. SMS is the most economical medium to send sms on huge amount of numbers in one instant With that said, SMS marketing is one of the best way of marketing. It is indeed economical as it must reach the target audience. Since many people have mobile phones that PC, sms is the king. Wise Business Technologies offer Bulk SMS Service in Panipat so that you can do marketing your business or the products/services that you are offering. Bulk SMS is dissemination of large number of SMS messages for delivery to mobile phone terminals. It is used by media companies,organizations,banks to promote their business, bulk SMS can be purchased in bulk so it become cheaper than regular SMS from your phone. Valuable information is provided by the Bulk SMS Services. I really appreciate and thanks for sharing nice blog. In the present time text SMS in the easiest way to get new customers Marketing92 is providing the Branded SMS in Lahore services to meet you’re Branded SMS Services. We have the easy to use Branded SMS Gateway for our clients. You can send text message with you name to promote you Brand. With the help of our Branded SMS in Pakistan you can send Branded and Non-Branded SMS. Nice post, Today, we are aware of the wonderful growth occurring in utilizing the SMS gateway in the development of business relations with clients. For promotion of services or business Bulk sms services is a cost effective way.